A timing and scoring system that drives business to your track! See it in action! Effortlessly broadcast your live scoring, results, and video on the LiveRaceMedia network to fans around the world. 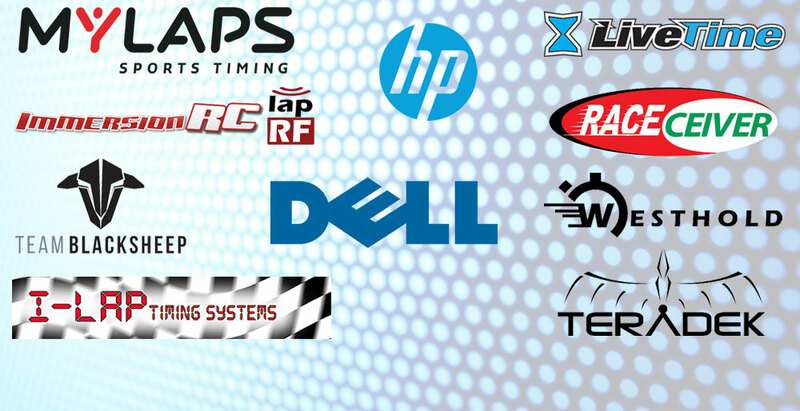 We stock everything you need to time, score, and broadcast your races. From software to hardware, LiveTime is your one-stop source for all things scoring/broadcasting. LiveTime provides an intuitive and powerful interface that is very stable and simply fun to use. Automatic integration with the LiveRaceMedia network to stream all your scoring, results, and video live around the world. We carry a complete line of scoring and broadcast equipment - IN STOCK for same day shipping! 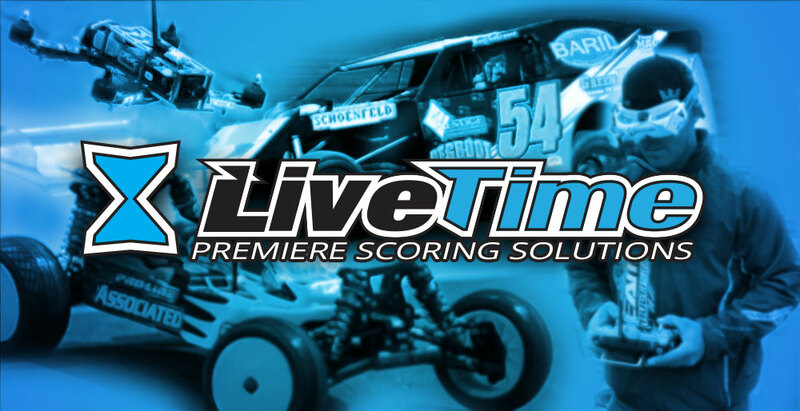 What is LiveTime Scoring Software? LiveTime is a complete software suite that makes organizing and running races not just easy, but fun. Our revolutionary Scoring Engine has redefined the standard for race timing and management. RaceVision is a scoreboard that easily displays on any TV around your facility. 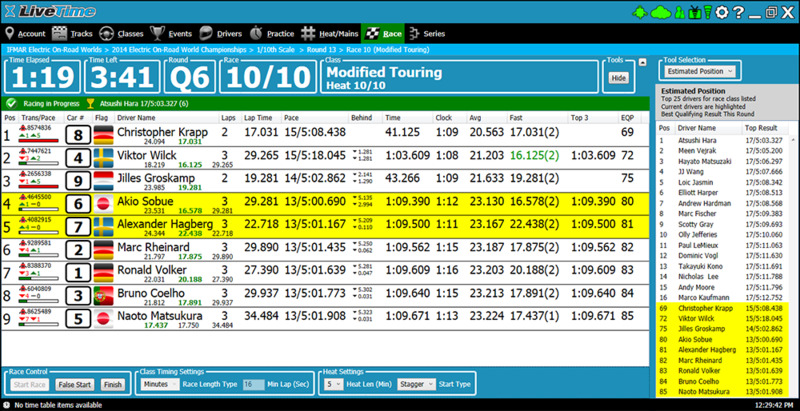 RaceStation is a kiosk for racers to look at lap times and update their data. RaceBoard is a tablet that you can mount anywhere for racers to see results - eliminate paper! 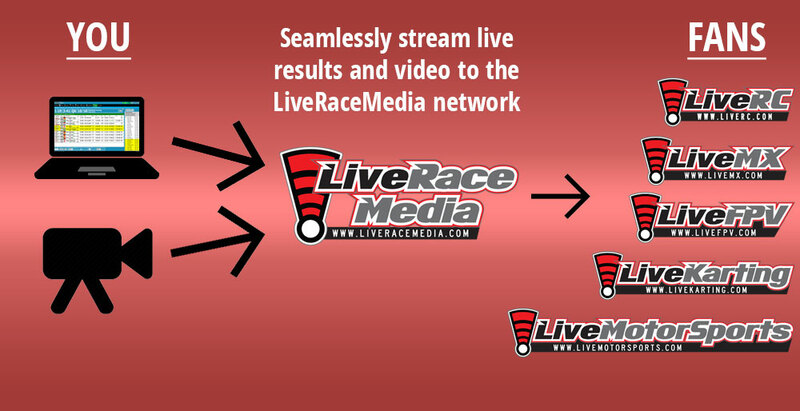 LiveRaceMedia is a cutting edge network of websites (each sport has its own) for racers and fans to follow along with live scoring, results, and video. LiveRaceMedia is our sister company - a network of websites, each dedicated to a particular form of racing. LiveRC.com for R/C car racing. LiveFPV.com for drone racing. LiveMotorSports.com for car and motorcycle racing. LiveMX.com for motocross racing. LiveKarting.com for kart racing. LiveRaceMedia is FREE to use. As soon as you start running races with LiveTime, it will publish your results LIVE online for fans, racers, and family members to follow all the action. Setup a simple camera to stream each race live. Our system will automatically record the stream and embedded each individual race within the results page. Let your racers and fans relive the action after racing is done.